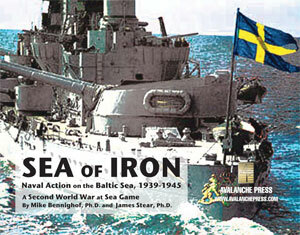 Of the six air forces of the smaller Baltic nations, only Finland’s air service saw any extensive service, but all of them appear in Second World War at Sea: Sea of Iron. Often treated as a unitary entity, the three Baltic states of Lithuania, Latvia and Estonia have many differences both historical and cultural. With the union of the pagan Lithuanian kingdom with the Catholic Polish state, the Baltic territories were variously under the control of German Teutonic knights, the Poles, the Swedes and, finally, the Russians. Finland had been part of the Swedish kingdom since early medieval times to 1809, before falling to the Russians. Following the collapse of Czarist Russia in 1917, four independent states were established, although only Finland achieved a degree of democratic stability. Dutch-made Fokker fighters in Finnish service. Lithuania was ruled by a largely Polish aristocracy, or at least one heavily influenced by Polish culture, with an influential German-speaking merchant class in the coastal towns. Latvia and Estonia were dominated by German-speaking landowners. Latvian and Lithuanian are related Indo-European tongues, but Estonian is part of the Finnish family of languages. However, all of these native Finnish and Baltic languages were considered little more than peasant dialects, with Polish, German or Swedish serving as the languages of the dominant classes. A four-month civil war, January-May 1918, broke out in Finland between the pro-Soviet Red Guards and anti-Soviet White Guards. The White Guards under General Carl Gustav Emil Mannerheim had already gained the upper hand when Germany intervened with both men and supplies. The short but bitter conflict cost the lives of 24,000 Finns, of whom just 6500 died in combat. There had been brutal civilian massacres on both sides, but it is a testament to the Finnish people that the wounds of this bitter war healed so quickly. Estonia was briefly occupied by the Germans in late 1917, and then the Red Army invaded, establishing a short-lived, indigenous Soviet government. General Yudenich's White Russian army meanwhile had attempted to take Petrograd failed and retreated into Estonia. The newly formed Estonian army of General Laidoner was then able to liberate the country from all alien factions, German and Russian. In Latvia, a Bolshevik government lasted five months, the longest of any of the Baltic states, and had some measure of popular support. But the intervention of the German Freikorps under General von der Goltz (an unofficial right-wing German militia) overthrew the Reds. A White Latvian government was then established, but Von der Goltz proceeded to overthrow this government as well. A mixed force of White Russians and Germans attacked Riga, defended by the remnants of the Latvian army, bolstered with some aid from Estonia and Finland. The Western Allies, initially in favour of German intervention against the Reds, now thought it time Von der Goltz returned to Germany. A British expedition arrived in the Baltic, allowing the Latvians to repulse Von der Goltz, who then fell back into Lithuania. A Lithuanian Fokker D7 meets its end, 1919. Dutch-designed aircraft. Lithuania, meanwhile, had to fight off both the Bolshevik Russians and the newly formed Polish army. In February 1919, fighting broke out between the Lithuanian and Bolshevik armies. By the end of August, the Bolsheviks had been contained and pushed out. Northern Lithuania was then invaded by an odd coalition of Von der Goltz’s Freikorps and some White Russians, called the “Bermondtists” after their leader. A decisive battle was fought at Radviliskis in November, and the Bermondtists were forced to retreat into Germany. Poland's chaotic political situation led to a military dictatorship in 1926. Lithuania quickly followed with a three-year dictatorship between 1926-29, and after a brief hiatus, in 1932 a one-party state was permanently established. In March 1934, Konstantin Pats established a dictatorship in Estonia, while two months later Ulmanis staged a coup to become dictator of Latvia. By the late 1930s, Soviet Russia had again become a clear menace to the independence of the four Baltic republics, but mutual distrust prevented any kind of concerted defence. Poland had wished to take leadership of a united block consisting of itself plus the four Baltic states. Finland, however, preferred to stay neutral and had more natural leanings towards the other Scandinavian nations, and Lithuania had good reason to fear Polish hegemony. In 1934, Lithuania, Latvia and Estonia signed an accord called the Baltic Entente. It was both the first and last step towards economic and political co-operation, and nothing further was accomplished. The Soviets would face a fractured and ineffective resistance. German troops occupy Memel, 1939. Note the drum dog. Lithuania's position was further complicated by German claims on Memel, one of the old German trading ports — called Klaipeda by Lithuanians. Most of the Baltic states still looked upon Germany as a natural ally and none wished to go to war with the Germans over Klaipeda. 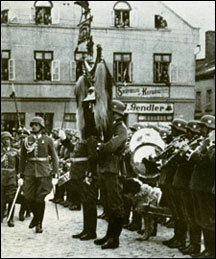 In March, 1939, the Lithuanian government gave in to German demands and ceded the city. It proved to be a devastating, perhaps fatal, blow to Lithuanian morale. Worse was to come. The defeat of Poland by Germany and the USSR in September, 1939, brought the brief reunion of Vilnius with Lithuania. At the same time, the Soviet Union made a “request” to each of the Baltic states asking to place Soviet garrisons in their territories. Even though acceptance meant the total occupation of their countries as the next likely step, rejection obviously meant war. Only Finland rejected the Soviet demands outright, and Stalin’s armies were soon on the move. Marshal Mannerheim, the commander-in-chief of the Finnish army, was at best looking to delay the Russians until foreign intervention could aid them. Finnish resistance has become legendary and the Soviet invaders were halted for more than three months, thanks also to the harsh Arctic winter. Yet, with the coming of spring, the Finns were forced to seek a humiliating armistice. The Soviet air force had proved a sad failure, given little time to prepare. Operations were poorly coordinated with the ground forces, and although the Finnish air force was heavily outnumbered it was able to inflict vastly disproportionate losses. Some 280 Soviet aircraft were destroyed by Finnish fighters, another 314 were lost to AA and 300 were written off. The Finns lost just 62 aircraft in combat, with 69 more written off due to heavy damage. The Finnish-built Myrsky II fighter. Based on a Dutch design. For the other three Baltic states, their time was limited. In the summer of 1940, all were absorbed as integral parts of the Soviet Union. The three national armies, after their officer corps had been liquidated, were re-organized into Red Army units. Many of these units proved unreliable when Hitler unleashed his massive assault on the Soviet Union in June 1941, but the Soviets likely used some aircraft and equipment from the former Baltic armies. The Finns, with a much strengthened army, joined the German invasion of the Soviet Union, but once the territories lost in 1940 had been recaptured, Mannerheim halted his forces. Finland never did ally with Germany, officially terming German troops in their country “brothers in arms.” The Finnish front remained stable until the Soviets launched a massive offensive in 1944. The Finns were initially surprised and the Soviets made good progress — this was not the Red Army of 1939. As the Soviets drove towards the 1940 frontier, Finnish resistance began to stiffen. With the fierce Finnish reputation still fresh in their minds, the Soviets had no desire to attempt an outright conquest, especially with Germany still undefeated. Late in 1944, Finland therefore signed a separate peace, bowing to harsh Soviet terms. Still, once again, the Finnish army had played a key role in preserving, even if circumscribed, the independence of the Finnish people. Of Sweden, Denmark and Norway, only the Norwegian air service saw any kind of extensive combat, although it was quickly overwhelmed by the German Luftwaffe when the Nazis attacked in April 1940. Sweden, of course, remained neutral (it gets a 2-4 TAC in the game, represented by the J22, an indigenous fighter design), while Denmark decided not to put up an active resistance to the German invasion (it gets no units at all). Still, for a few weeks, in the high Arctic around Narvik, a small squadron of Norwegian aircraft, mostly Fokker C5’s, held air superiority. However, once German fighters had moved into bases within range, this last gasp of Norwegian resistance was also ended. Air Regiment (four fighter squadrons, four reconnaissance squadrons, one seaplane squadron — about 80 aircraft in total). 1st and 2nd Anti-Aircraft Regiments: The 1st was based at Viipuri for army support. The 2nd was headquartered at Helsinki, but individual batteries were dispersed to guard other cities. Both were equipped with German or Czech 75mm heavy batteries and medium 40mm batteries. In addition there was a small transport squadron with six Junkers Ju34H (the unarmed version of the JuK43). 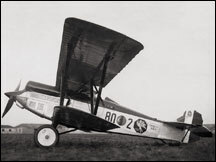 As additional aircraft became available during the war, some new squadrons were formed. HLeLv28 was formed December 8, 1939, with the arrival from France of 30 Morane MS406 fighters. 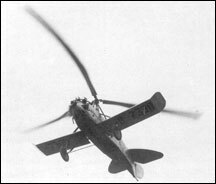 HLeLv22 was formed out of D21s received from HLeLv24 when it began to operate Brewster Buffalo fighters (the first five Buffalos arrived February 20, 1940). These units comprised the new 3rd Flight Regiment. In January 1940, HLeLv26 began to re-equip with Gloster Gladiators from Great Britain, followed by Italian Fiat G.50 fighters in late February. Ten Blenheim IV bombers were added to PLeLv46's strength in January, which gave five of its remaining I models to PLeLv44. PLeLv42 was established in February 1940, with 12 more Blenheim Is from Britain. A Swedish volunteer fighter squadron (including two Danish pilots), Flygflottilj 19, arrived January 11, 1940, with 12 Gladiators and four Hawker Harts. The unit suffered heavy losses in its first air combat, but then became one of the most distinguished fighter units of the war. Swedish innovation. The SAAB S21 fighter. 1st Karlsborg, 2nd Ostgota and 3rd Stockholm regiments; 4th Skanska, 5th Sundsvall, 6th Goteborg and 7th Lulea groups (By 1942, the Swedish air force had more than doubled the 195 aircraft it possessed at the start of the war. Equipment included 48 Fokker C5Ds and Es, 46 Hawker Hart light bombers, 25 Gloster Gladiator biplane fighters, 56 Junkers Ju86K medium/torpedo bombers, ten Heinkel He115 floatplanes, 90 Caproni Ca.313 twin-engined bombers, 310 SAAB-17 divebombers, 72 Fiat CR.42bis biplane fighters, 60 Reggiane Re.2000 Falco fighters, a few Junkers Ju52 transports and 60 Seversky P-35 fighters.